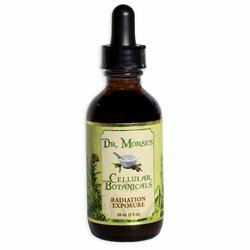 A unique topical and oral antiseptic and monatomic iodine supplement that also provides scalar energy frequencies. A proprietary process suspends this extremely high frequency iodine formula in its simplest form (atoms — not molecules, compounds, or complexes), making it extremely bioavailable (~100%). This 2% singlet iodine atom ( I ¯ ) tincture in pure, non-GMO grain alcohol is a negatively charged, true ionic tincture. 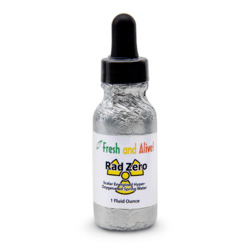 Proprietary, private testing shows this iodine is radiation-free due to its vigilantly pure source of iodine. 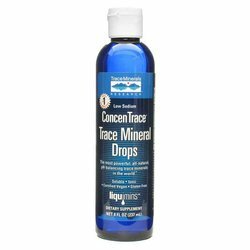 One drop contains 400 micrograms of iodine. Fresh And Alive Scalar Enhanced Alive Iodine, 0.5 oz has been added successfully to your wishlist. Iodine is one of the most potent killers of viruses, bacteria, fungi, and parasites in the world. Also referred to as "the metabolic mineral," iodine is extremely good for building ones health. Iodine is very important for the thyroid and other glands, brain function, and mental health. Iodine assists in the assimilation of key minerals, such as calcium and silica. Iodine seems to work as a monitor and controller in calcium and bone metabolism. Iodine regulates estrogen production and may be helpful in protecting against breast cancer. Iodine has the highest frequency of all of nature’s essential minerals and is regarded to be spiritually elevating. Since everyone is different, iodine levels in the body can vary widely. It’s therefore a good idea to periodically get testing to determine mineral levels in the body. One affordable and readily available indicator is hair analysis. Analytical Research Labs has a hair tissue mineral analysis that can provide insight into mineral levels, heavy metal toxicity, and mineral supplementation needs. Eidon Minerals also offers a hair analysis through Bio-Trend Technologies. Since hair takes time to grow out, it's not an exact indicator of current mineral levels. More accurate but expensive blood testing is avaliable. Nutritionally Yours has a vitamin and mineral blood test that can give more accurate current levels, but does not include heavy metal and toxin levels. 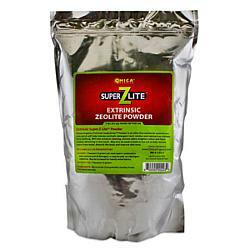 Iodine is antiseptic and therefore can kill off parasites and pathogens in the body, so caution must be taken with servings to avoid cleanse reactions from parasite or pathogen die off. 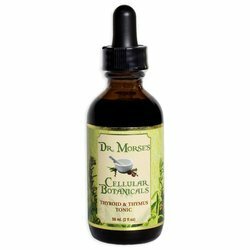 Bioavailable iodine won’t harm you, but overdoing any potentially detoxifying supplement or food can make you feel very tired, achey, irritable, restless, or experience many other cleanse reactions, so always start with small servings and gradually increase as long as you don’t have any adverse reactions. Important! Always take Alive Iodine diluted in water or other beverage. Add 2 to 3 drops to a 12-ounce glass of water or other beverage, one to 3 times per day. 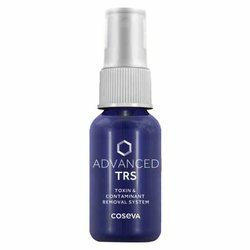 If no cleanse reactions are experienced, gradually increase number of drops up to 30 drops 3 times per day. It is very difficult to overdose on iodine from a nutritional standpoint, but cleanse reactions could cause discomfort if too much is taken too fast. Typically it can take 4 or more months for most people to eliminate iodine deficiencies. When doing bodywork such as massage, especially deep tissue massage therapies, Rolfing, Gua Sha, etc. 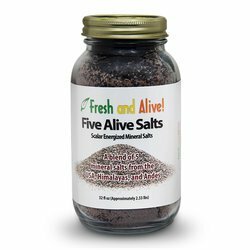 taking 1/8 teaspoon of Five Alive Scalar Salt with 12 to 16 or more ounces of water and Alive Iodine orally as directed above before starting and then every hour for a few hours can help improve results and lessen soreness, stiffness, and aid detoxification. To take the salt, place 1/8 teaspoon of salt on tongue and hold on the roof of the mouth for 30 to 60 seconds, then drink the water and iodine mixture. Alive Iodine can be applied topically, particularly to scars, as needed. You’re much less likely to experience cleanse reactions this way. After applying, castor oil can be applied and strongly massaged with gua sha tools to break up scar tissue, kill parasites and pathogens that hide in scar tissue, and improve the accompanying issues related to acupuncture meridian obstruction by scars. Since iodine stains very strongly, use caution to avoid staining clothes or other items. The iodine will stain skin but will be absorbed by the body. The faster it is absorbed, the more deficient in iodine one is.